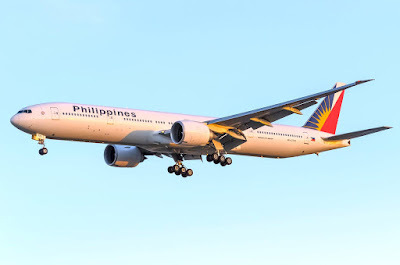 Aviation Updates Philippines - In an effort to focus on Philippine Airlines' core operations for sustaining profitability, the airline recently announced that it will be laying off 117 domestic ground service employees effective November 9, 2015. "The objective of this restructuring is to focus on our core business in order to remain competitive and provide more efficient air services for the benefit of the riding public," Philippine Airlines said in a statement. The national flag carrier currently has 2,386 ground employees in the Philippines and 2,512 flight crew as of end-2014. PAL operates 56 aircraft and flies to 35 international destinations and 29 domestic destinations. According to Philippine Airlines, the 117 employees will be given a separation package of 125% of monthly basic salary per year of service and a gratuity pay of P100,000. “The separation package required under the law is 100 percent of the basic monthly salary of an employee for every year of service,” Clara de Castro, Philippine Airlines Senior Assistant Vice President for Legal Affairs said. “PAL is providing its affected employees with 125 percent of their monthly salary for every year of service,” she added. Philippine Airlines Holdings' net profit increased by 10 times to P5.86 billion due to the increasing number of passengers and decreasing fuel prices. The airline also plans to acquire new Boeing 787-8 Dreamliners or Airbus A350-900 XWBs to fly directly to PAL's Europe and United States destinations.